Lets get back to the beginning. When did Aston start? What’s the background? When we started the Aston brand in 2015, the first thing we did was to sit around a small white table in our office, with pads of paper and pens, to get down a brief… what products we wanted, what our look and feel would be, our core values. It was incredibly important to us that we really make our mics in the UK – not just say ‘designed’ or ‘assembled’ but actually manufacture them right here in Britain. We had many reasons behind the decision to not lean extensively on Chinese OEM like so many other brands, which include having greatly reduced environmental footprint, the ability to locally prototype and control engineering processes, no language barrier, and a great marketing story… sort of Cool Britannia! The biggest single reason, though, for wanting ‘Made in the UK’ as our core value, is the opportunity to be the team who are building the first mainstream UK mic brand… what a legacy to be able to leave, with the UK standing as one of the most influential in the modern music industry… for Aston to be the voice of the UK music industry. It’s a pretty crowded and competitive market, so what was the Aston take on it? Nothing much changed in the microphone world, for years. When Aston’s team sat round a little white chipped melamine table with a blank piece of paper they knew one thing for sure; they had absolutely no interest in bringing out yet another ‘me-too’ microphone to take its place in the line-up of near-identical models jostling for market share. So they started from scratch, and asked some fundamental questions which had seemingly not been asked for a long time – if ever, such as why is every mic chassis’ powder coated or nickel plated? 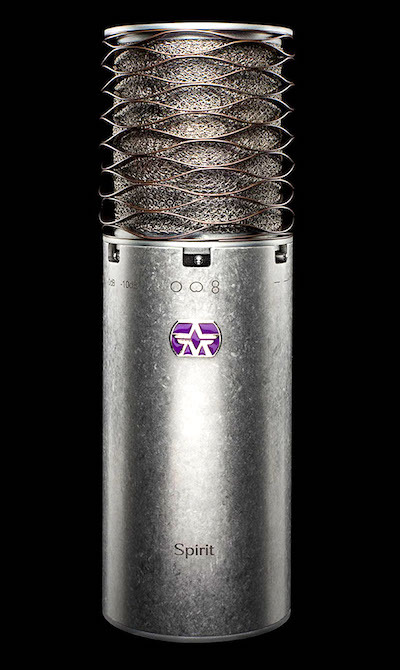 Why does pretty much every mic have an exposed steel or brass mesh head, which can easily be dented and offers little protection to the capsule within? And so on. Examining such questions afresh inspired some different and radical approaches to the design, manufacture and materials used to create the all-important launch product. At the same time there was unanimous agreement that the two most important things were that the mics had to be affordable, and that it had to sound good – unbelievably good. So good that the elite of the music industry would want to use it. OK then, so if thats the case, who decides what you make? All of us…it’s a team thing 😊We always get together as a design group and go over all the ideas before making a final decision. I put forward the proposals, we discuss them all… then I’ll make a final decision… but its definitely a group effort involving marketing, sales and engineering, all together. Who is on the Aston 33 developer panel? How many people are on the Aston 33 now? Originally 33 strong with now over 120 members the Aston 33 are involved at every single stage of development, rigorously assessing our products in double-blind listening [identical looking mics with different ‘voicings’ with neither the Aston staff or the Aston 33 member knowing which it is]. This way of working is without precedent in our industry, and it has enabled us to develop products which far out-perform their respective price points. You design and test in the UK, and most of the manufacturing is done here too, is that correct? How on earth do you manage to compete? We design, BUILD and test our mics here in the UK! 😊How? 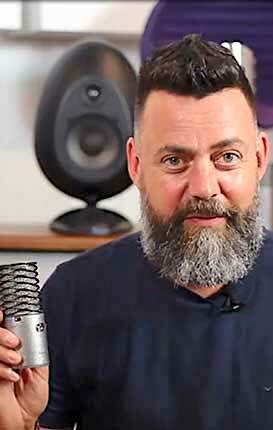 Take the head form as an example… pretty much every mic from an SM58 to a U87 and beyond has the same basic head form. A rigid structure for protection, and one or more layers of fixed gauge mesh. These break, they get dented, and they don’t work very well as pop filters. By re-thinking this basic area of design we were able to radically improve function with our shock-absorbing Wave-form Spring head and knitted stainless steel mesh, while simultaneously reducing production costs. The Aston signature tumbled chassis (Origin, Spirit and Starlight, all have our unique chassis finish) is made of solid stainless steel, tumbled for up to four hours in vats of conical ceramic beads to give a beautiful patina which is fingerprint and scratch resistant. This is WAY cheaper and more environmentally friendly than blasting, priming and painting, and looks pretty cool!😊The list goes on…all savings which we could then use to improve the sound performance of our mics. We source 90% of our components from local UK sub contract manufacturers, from the toroidal transformers used in the Spirit mic, to the moulded parts used for the head and base of our mics (we call these ‘End Caps’). Even the mould itself was made right here in England, a very expensive process compared with making moulds in China, but having complete control of this process to ensure the highest possible production standards was, and remains, of utmost importance to us. Our printed circuit boards are also made in the UK by three of Europe’s leading hi tech manufacturers, who also look after the final assembly for the Origin, Spirit and Starlight. Again, we could cut costs by having these PCBs made in the Far East, but the attention to detail and quality control we are able to execute far outweighs the benefits of any cost saving we could make. Looking at the Starlight, that head looks very different. What was the reasoning behind that? 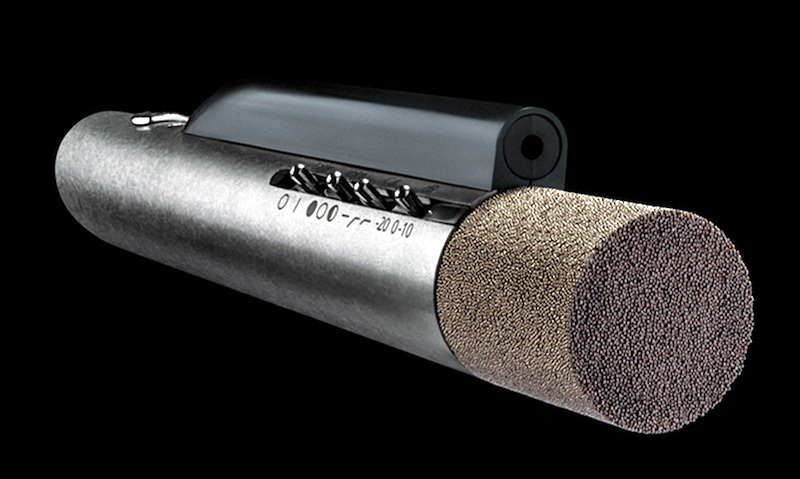 Our Starlight laser targeting pencil mic features an indestructible sintered head. Sintering is not new to the mic world, though seldom used… but our team have taken the technology a big step further than ever before. We tested many thicknesses of sintered head, as well as the average size of the tiny metal spheres, and combined that with nickel plate which is controlled to only a few nanometres thickness to achieve near perfect acoustic porosity and extraordinary audio transparency. In addition the head is virtually indestructible, it’s a great mic for both drum OH, but also close mic’ing snare (it’ll take an extraordinary 150dB SPL and you can’t put a drum stick through it). So like all Aston mics, it can take any amount of studio or live use and will never let you down. The Starlight represents several technological achievements in this area alone. Starlight is the first ever microphone to use a sintered head to precisely tune the acoustic space around the capsule. Although it looks very solid, it is, in fact, acoustically porous. Traditional cardioid Small Diaphragm Condenser (SDC) mic designs, use a solid cylinder to house the capsule, with small cuts or holes made to allow the correct degree of airflow to create a stable and desirable polar pattern. Starlight, instead, has an open metal frame holding the capsule and mounting it to the mic chassis, while the sintered head surrounds the entire enclosure. The porosity of the head is minutely controlled to achieve a near perfect acoustic response form the capsule in every mic. A major additional benefit, is that this sintered design produces almost perfectly linear off axis response. i.e there is virtually no HF roll off as you depart from the on-axis plane (the direction the mic is aimed in). In almost all other mics, the sound becomes increasingly coloured by changing frequency response as you move off axis, so you’re not really picking up the true sound of the instrument. With Starlight, you get exactly what is being heard in the room across the entire pick-up pattern of the mic. All the best ideas start with a beer! Alan and I came up with the concept for Starlight in a NY bar in 2016. After the huge success of Origin and Spirit, we needed to come up with something REALLY good for our next mic. Problem is, small diaphragm mics are pretty boring, and usually very limited in function. The plan was to create something packed with innovations, and specifically to make mic placement easier… recalling a conversation with Paul White of SOS about using a laser to guide mic placement, we’d found our answer… the world’s first laser guided microphone. Obviously drummers are just a small part of who you build for. In my experience drummers can be a bit blasé about microphones. 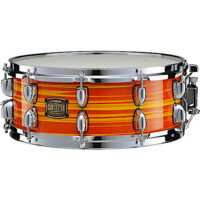 What sort of feedback do you get from drummers about your microphones? 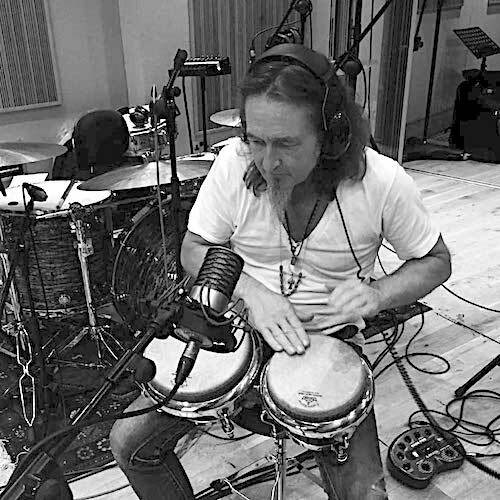 Haha…I know what you mean but seriously…drummers are a very important part of our Aston family which also the reason why we’ve been working with industry professionals such as Geoff Dugmore (Rod Stewart, Robbie Williams…), Sammy Merendino and many more who help us to develop our mics. And the feedback is overwhelmingly positive. 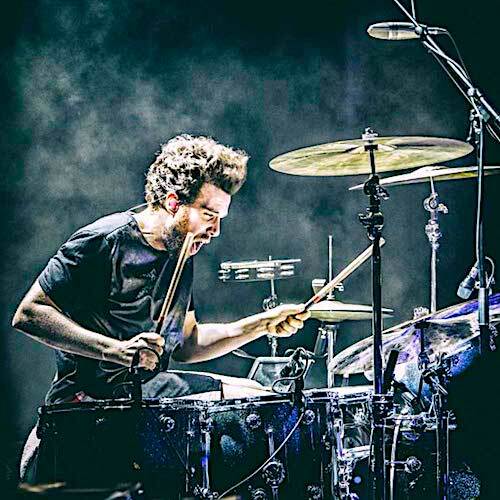 If you look on the website, you’ll find lots of nice comments from drummers such as Ash Soan (Adele, CeeLo Green, Cher, Seal) and Pop Morrison (Stereophonics) too. By Simon Edgoose| 2018-12-01T12:55:56+00:00	December 1st, 2018|Categories: Features|Comments Off on Who are Aston Microphones?